In the early stage of Fallout 4, you will encounter mole rats. They attack you in groups and they are a bit of a challenge, but still not life-threatening. However, a particular type of mole rats can infect you with a mole's disease, which is not so easy to heal, no matter what Chem / drug you use. 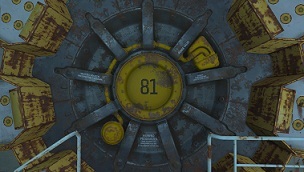 While you roaming through the wasteland you will find out several Vaults. One of them is Vault 81. Here you will find a Bobblehead and a companion. At your second visit to the Vault 81 you will find out about the health problem of Austin, he is infected with Mole Rat Disease. This disease transmitted by infected rats in this vault, as they have served various experiments as guinea pigs. As part of the Quest "Hole in the Wall" you will need to find the cure. Here lies the problem, because you will even encounter the mole rats and can infect you with the disease as soon as you get bitten. Once you find the cure, you have to repeatedly assure that it is the only one in Fallout 4 and that's actually true. - Bite: The obvious tip is of course, not to be bitten by one of these mole rats. Jump to increase levels and shoot the little monsters with the help of VATS before they can even be in your vicinity. - Companion: Some players report that they have not been bitten and are still suffering from the mole rat's disease. That could be an error in the game, you can easily get around by Completing the quest without a companion. With the perk "Lone Wanderer" there should be no problem. - Protectron: You should refrain from taking the robot with you, as it may happen that you get infected with the mole rat's disease, when your robot gets bitten. Of course, you are free to take the drug for yourself, rather than give it to the little boy. If you are willing to lose 10 HP permanently, then the mole rat's disease should not be a problem for you. Heal the Austin, you'll get a unique weapon from Dr. Forsythe.